The Scottish SPCA is appealing for information after up to 21 pet rats were abandoned in two separate incidents in West Lothian. Scotland’s animal welfare charity was first alerted at around 2pm on Saturday afternoon when a group of female rats was discovered huddled by the side of the B8084, a single track road just off North Street in Armadale leading to Eastoun Road in Bathgate. The charity was then called to rescue 13 male rats found loose in the garden of an empty property at 3.30pm on Dean South Road in Livingston. 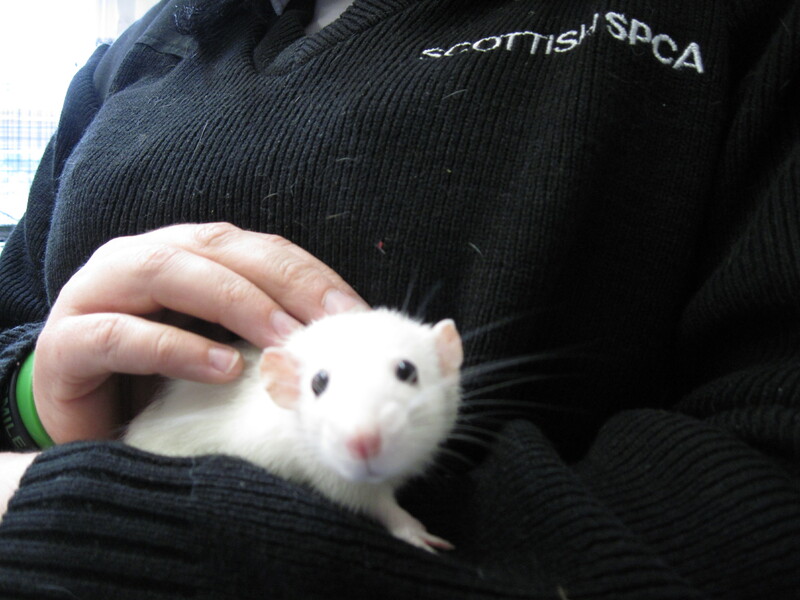 The rats are now in the care of the Scottish SPCA’s Edinburgh and Lothian’s Animal Rescue and Rehoming Centre. Inspector June Chalcroft said, “We believe these abandonments may be linked given the close proximity of both locations and the fact all the rats are white with grey markings. “Although eight rats were initially reported in Armadale, when I arrived they had scattered and only three remained. There was woodland nearby so, sadly, it’s possible they have run in there and likely they will never be found. “We are very keen to trace whoever is responsible for these cruel and irresponsible abandonments and we would urge anyone with information to contact us. Abandoning an animal is an offence under the Animal Health and Welfare (Scotland) Act 2006 and anyone found guilty of doing so can expect to be banned from keeping animals for a fixed period or life.